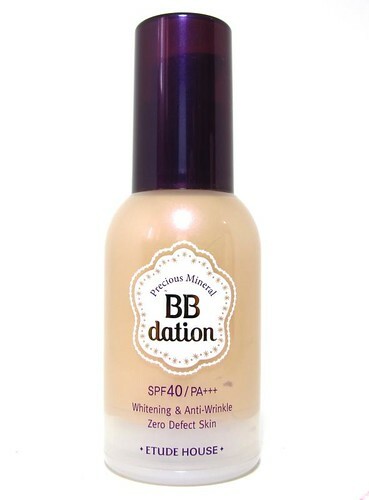 I've always thought of BB creams as just another form of foundation. Most of them have pretty good coverage already, but of course with the added SPF and skincare properties that can't be found in your usual bottle of face makeup. It's a marvelous idea for women who need multi-tasking products - who doesn't want their sunscreen, serum, moisturizer, primer, and coverage in one bottle? Provided that there's a good shade match that is. 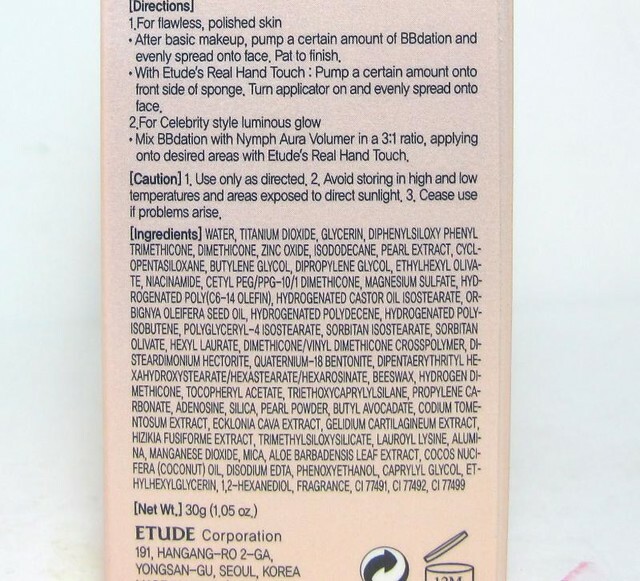 One of the latest BB creams to hit the market is the Etude House Precious Mineral BBdation (P848 / with applicator P1,678). 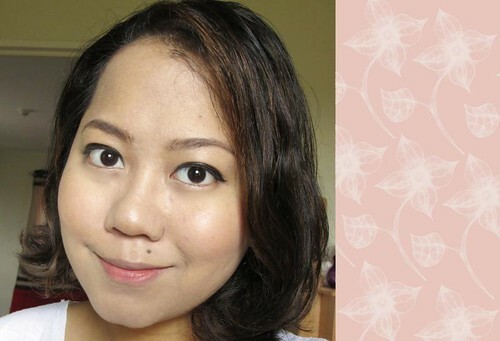 It's an out-and-out foundation that promises "zero defect skin", whitening, and anti-wrinkle. Let's go back to the zero defect skin part. What? Is that even possible? Well not really! However this does a bangin' job making skin look great. It doesn't cover dark blemishes but it blurs out lighter ones and fills in pores/ minor wrinkles as well, thus delivering a super smooth finish. You'll see a photo later. Texture. It's a bit mousse-y, surprisingly. It applies thinly and is very emollient so I'm inclined to think that it moisturizes skin. Still, it doesn't feel like a mask. You will only need one full pump to cover your whole face, which makes it economical. Coverage. 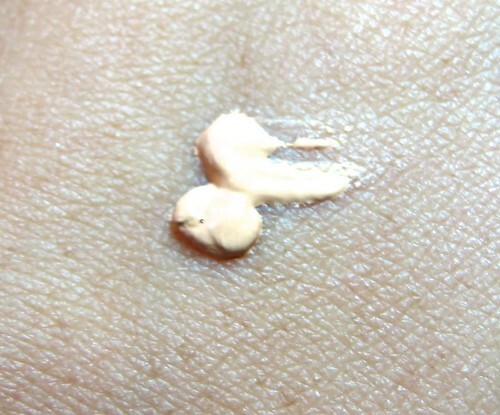 BBdation has medium coverage that you can easily build up in areas where you need it more (under eyes, blemishes etc.). It has a super smooth finish that almost seems unreal! Like I said above, I find that it fills in small pores and minor wrinkles easily. It also looks satiny once set. Nothing to worry about if you're not into the dewy look as there's only a subtle glow. Lasting power. It will start fading after 5 or 6 hours which isn't bad for a foundation that's not meant to be long-wearing. Just remember to blot every two hours to keep it intact! It won't prevent oiliness (indeed, liquid makeup rarely does) so always have a powder on hand. Shade selection. There are only three shades available for BBdation, one that is super white (N02), then a medium (W13, which is what I have), and the darkest which is W24. As you can see W13 is very light on me already. I swatched W24 in the store and it looks just about right for my NC35 skin. Unfortunately for girls NC40 and up (dark medium) this won't fit too well. Dupe? The Etude House BBdation reminds me a lot of one of my favorite foundations, the Benefit Hello Flawless Oxygen Wow. It has about the same light texture and effect, except that Benefit is thinner and has lighter coverage. It's worth looking into if you're looking for something close to Hello Flawless without spending P1,900. Recommendations. I highly recommend the Etude House Precious Mineral BBdation to anyone who's looking for doll-like smooth skin. If you're oily and want to be more secure, you can set it with your preferred powder foundation. If you're dry/combi then just set it with a loose powder and you'll be all right. So...as always, let me know what you think! Any similar recos? PS - Don't forget to follow Etude House Global for news and promos from the brand. You can also follow Etude House Philippines for local happenings.